The nose boasts prominent dried fruits intermingled with subtle yellow fruit notes and coffee. On the palate this Aguardente displays a remarkable balance between smoothness and structure, enhanced by vanilla and light woody notes acquired over the 5 years of ageing. Aliança Vinhos de Portugal is proud to have a priceless collection of fortified wines spanning more than 80 years of winemaking excellence. The Aguardente Velha Antiqua is a VSOP which manage to represent the good quality of this collection. 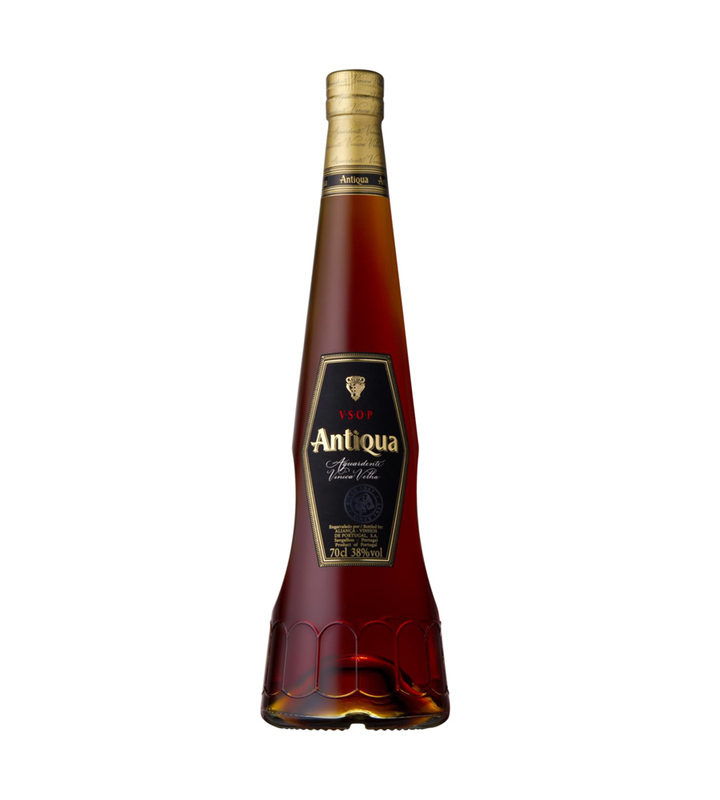 Antiqua VSOP is an aguardente rich in mellow and fruity aromas. For the VSOP, Aliança Vinhos de Portugal selects really special eaux-de-vie to strengthen the aromatic richness as it ages. Ageing in oak barrels specially selected by Aliança ensures a great mellowness of character and richness of flavor, accented with delicate woody notes. The barrels used are medium toasted, preserving the original aromas of the eaux-de-vie and producing an aguardente with admirable poise and balance.